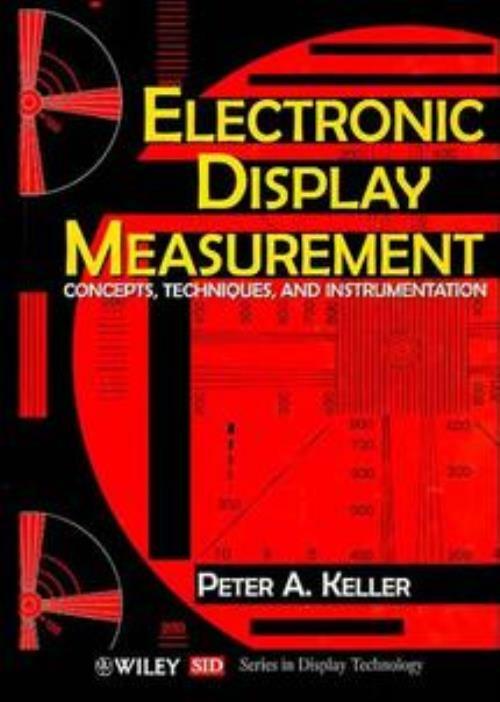 Electronic Display Measurement is the first complete reference manual in its field and a practical guide to the most reliable techniques, methods, and instruments available for measuring electronic displays. Supplemented with an extensive bibliography, useful industry standards, and difficult–to–find conversions, equations, and tables, this book also includes an appendix of equipment manufacturers and nearly 100 illustrations and charts. A discussion of the common pitfalls involved in measuring displays promises to bring some needed standardization to the field. Electronic Display Measurement explains difficult concepts clearly and describes delicate procedures step–by–step. It is the most up–to–date guide available for designers, engineers, and manufacturers of display systems who need to develop precise, reliable methods for evaluating electronic displays. Light Sources, Filters, and Detectors.